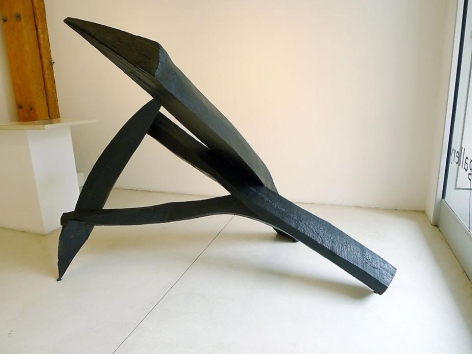 For his first solo exhibition at Sundaram Tagore Gallery New York, celebrated sculptor Tom Doyle presents large- and small-scale works in wood and cast bronze. 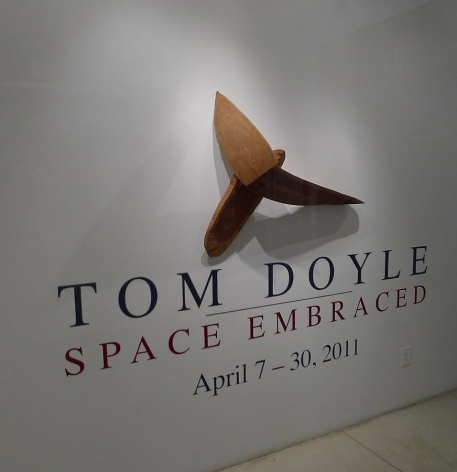 Doyle is known for cantilevering forms into space, making them appear freestanding, without obvious means of support. He carves trees he fells himself, sculpting each element into a shape that relates to the forms taken by trees as they react to the forces of nature. 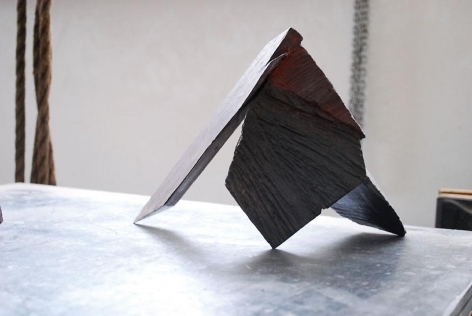 This process happens by improvisation, until Doyle has various elements (which he calls his “vocabulary” or “palette”) to create the sculpture. 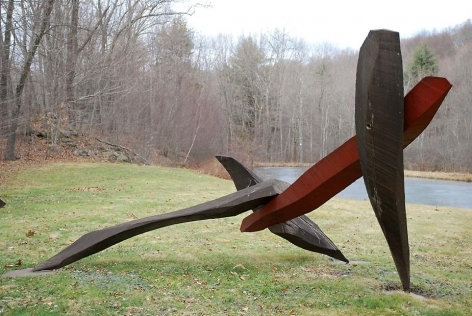 Each member of his tripodic sculptures honors the fecundity of trees. 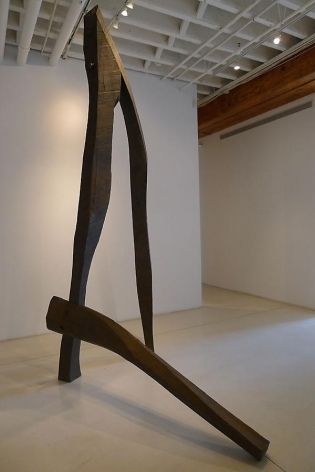 The thrust of Doyle’s work—both figuratively and physically—is a desire to suspend forms in space, sustained by just three legs. 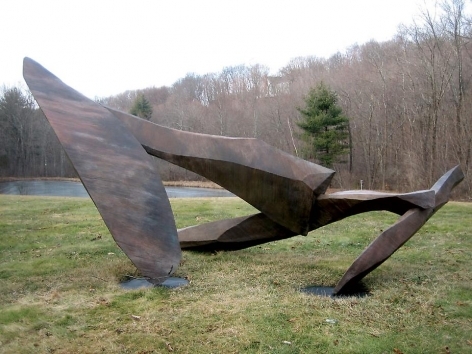 Although his works range in size from 8 inches to 15 feet, they share the same principle of lift, as if buoyed by the artist’s struggle to achieve weightlessness, or even flight. 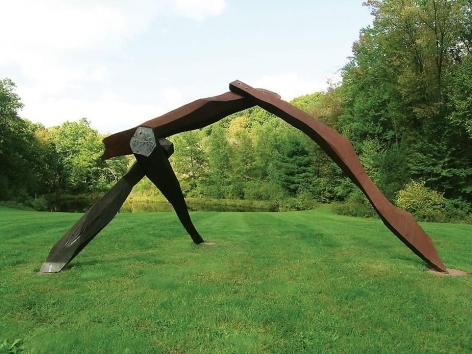 With an elaborate array of hand tools, Doyle does what sculptors have done throughout history: He seeks to lift matter into space and contest the will of gravity. His work also has a distinct affinity with the Abstract Expressionist language used in paintings, particularly that of Franz Kline. 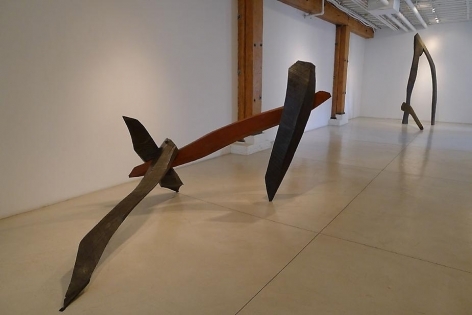 Doyle was well-ensconced in the New York art world of the 1950s and ’60s, where he was part and parcel of the creative ferment. 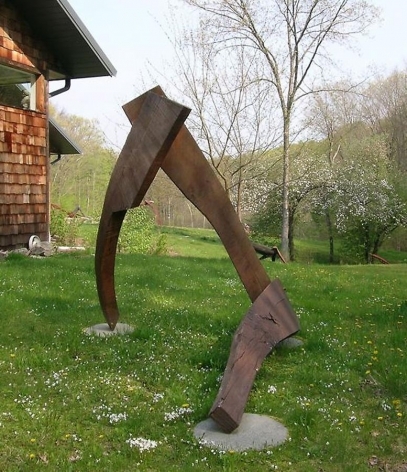 Tom Doyle is the recipient of a John Simon Guggenheim Fellowship in Sculpture Award and a National Endowment for the Arts Fellowship Award in Sculpture. 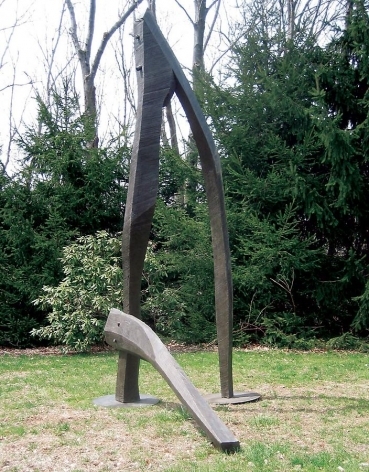 His works are installed at the New Britain Museum of American Art, New Britain, Connecticut; Queens College, Queens, New York; Congregation Beth Shalom Rodfe Zedek, Chester, Connecticut; and the Jean Widmark Memorial, Roxbury, Connecticut. A catalogue surveying Doyle’s work, from 1966 until the present, with an essay by Dore Ashton, author of About Rothko and The New York School: A Cultural Reckoning, accompanies this exhibition.